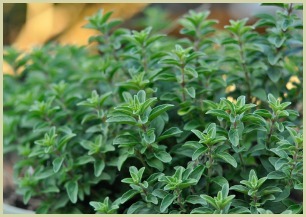 How to Grow Oregano - "The Pizza Herb"
Knowing how to grow oregano will guarantee you a supply of this delicious versatile "pizza herb" all year round. Just a few plants will give you plenty of fresh leaves for the summer and if grown on a sunny windowsill, you'll have enough to pick all winter long. Whether indoors on your windowsill or outside in pots or a herb garden, the leaves of the are a useful addition in every kitchen. Growing up to 30in (80cm tall), the oregano plant blooms with small pink or purple flowers and leaves bursting with flavour. The tiny purple/pink flowers are also edible, although the leaves are more flavoursome if harvested before the herb flowers. I'd recommend origanum vulgare or Greek oregano when growing this herb, I find these seem to have the best taste and aroma, and are reliable and easy plants to grow. You can start seeds indoors, and plant out after the average last frost date in your area. Pick your leaves first thing in the morning, before the sun warms them up and dries them out, and you'll get to appreciate the full benefits of its oil. Read more about the oil. In the winter cut the plants to about 3 inches above the soil and they will grow again in spring. If it gets too cold, think about adding some mulch or protective fleece to the plants. Nothing much to worry about, but watch for spider mite. Now you've grown the plant and have an abundance of leaves to use in your cooking, why not also make a healthy drink with them? My oregano tea recipe is ideal. You can also freeze or dry the leaves for use over the winter.